Hydraulic Lift System Industry BIOFIAL S.A. is the oldest, largest and most consummated manufacturing industry of hydraulic cylinders and hydraulic lifting systems for elevators in Greece. 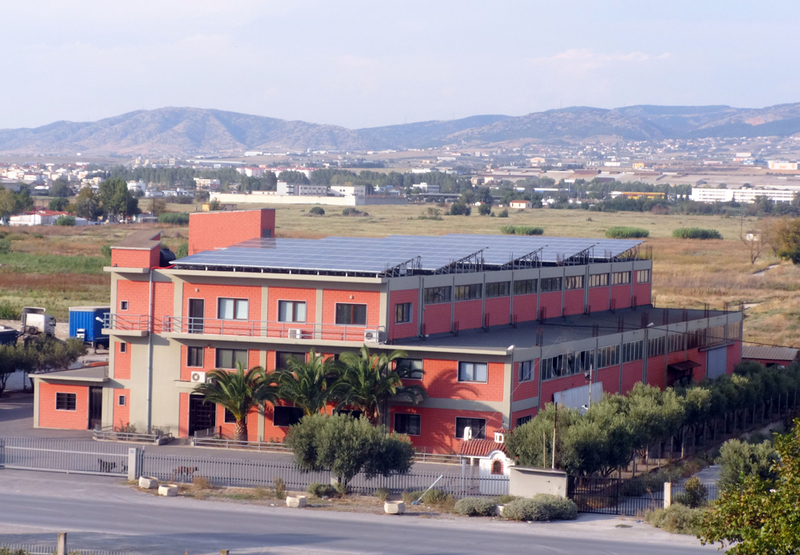 The company has been founded in Thessaloniki in 1973 by Mr. Hatziefstratiou A. Konstantinos, initially performing as a mechanical workshop for the production of machinery and various components for agricultural applications. It has taken its current form, as an exclusive production company with main field of expertise the manufacture of hydraulic cylinders, as well as the discreet title BIOFIAL, in 1979. The company’s headquarters was originally established at a leased department store at Koleti Street, later was moved at a leased industrial building at Kalochori area and finally in 1987 the company has been residence in a private plot of 4.500 m² at 52 Pontou street, in B’ KTEO area of Thessaloniki. Today the premises amounts to 4,200 m², covered primarily by the establishment where the production process takes place, as well as offices, warehouses, exhibition area and auxiliary spaces. BIOFIAL disposes highly updated technological equipment that in its majority is constituted by machines of the latest technology, specifically manufactured by the most dependable global firms, thus covering the specialized needs of the productive process. The applications of the hydraulic cylinders vary depending on the customer’s needs and for that reason there is a wide range of products produced. The age-long experience, the technical expertise, extensive know-how, the precision in the designing process, and the advanced technological equipment, has established BIOFIAL as an exclusive hydraulic cylinders manufacturer in the Greek territory, as well as the European market. Regarding the productive activity, the company started with the production of hydraulic cylinders, primarily for agricultural applications, but over time, expanded into the production of cylinders and hydraulic systems for several industrial applications. Specifically, the last 25 years BIOFIAL produces specialized hydraulic cylinders for all types of tipping trucks, garbage trucks, earthmoving and construction machinery and heavy vehicles. The manufactured products include specialized cylinders for presses for metalworking, cutting, shaping, ginning and for the cotton and tobacco industry. Also, part of the production of hydraulic cylinders is intended for earth drilling machinery, agricultural machines, lifting platforms, transporting applications and car parking systems. Thereby BIOFIAL successfully covers a wide range of hydraulic applications and that makes BIOFIAL the only one Greek company that produces hydraulic cylinders for every possible application. Since 1995, after gaining age-long practice and valuable experience in the field of hydraulics, BIOFIAL entered with vigor and loyalty into the area of specialized production of hydraulic lift systems. The cylinders produced for hydraulic lifts are divided in simple cylinders, divisible, and telescopic consisting of two or three stages. The power units, which comprise along with cylinders the complete hydraulic system, include components from the most renowned and credible European firms. The cylinders, as well as the power units are manufactured entirely by BIOFIAL. From 2012, BIOFIAL expanded even further the range of its products, developing and producing four new product lines: the «Compact Hydraulic Cargo Lift BCT & BCF», the «Hydraulic Car Lifting Mechanisms BH-CD & BH-CLD», the “Scissor Platforms for Cargo & Car Lifting” and “Car Sling for Hydraulic Elevators (Chassis) BLHI-6, BLHI-10 & BLHI-13». BIOFIAL has the ability to respond with unique flexibility to the demands of its customers, offering not only standardized products, but also products with different dimensions and for various applications to meet even the most specialized needs. For this reason, the resulting products are divided into two major categories, the wide standardized and the custom-made or special application products. The company has an extensive clientele, spread throughout Greece and abroad. Its clientele consists of industries, crafts, engineering companies, public institutions and companies of all ranges and from different sectors. The high quality of the products has consolidated BIOFIAL S.A. both domestically and globally. The last 22 years has been developing intense export activity in the near Balkan as well as other European countries. The sales network covers the entire Greek territory and is conducting exports of about 70% of the productive capacity in several countries around the world. Company products are directly exported to countries such as Cyprus, Bulgaria, Germany, Netherlands, Turkey, Albania, Argentina, Bosnia and Herzegovina, Sweden, Israel, Serbia, India, Belgium, Egypt, Iran, Lebanon, United Kingdom, FYROM, Ukraine, Israel, Oman, etc. as through clients (embedded in the final product) in all five continents. As for the suppliers, they are mostly originated from the European market and to a lesser extent from the domestic market, mainly in Thessaloniki and Athens. All imported raw materials that are used by BIOFIAL in the final products, meet the European Standards (EU) and are accompanied by all the necessary certificates and testing licenses. The company’s activity field, demands high specialization and thorough knowledge of mechanical engineering in general and hydraulic science in particular. That is why the company has a permanent number of employees, the majority of which are employed in the company for more than 15 years. BIOFIAL‘s human resources consisted mainly by specialized personnel with high technical training and age-long experience, which is required because of the specificity of the production. Yet there are plenty of external collaborators for improved administrative, financial, technical and legal support of the company. BIOFIAL applies the most advanced methods of production, renewing on a regular basis the technological equipment and constantly adjusting to the new conditions in the field of hydraulics. It has established and applies the quality management system for manufacture and marketing of hydraulic lifts and hydraulic cylinders, according to the requirements of the ISO 9001: 2000 standards, since 1998. Each hydraulic lift system is accompanied by a complete technical documentation as required by the recent EU directives. Moreover, the firm is a member of the Commerce and Industry Chamber of Thessaloniki, the Association of Exporters of Northern Greece, the Hellenic Management Association, and the Greek-Turkish Chamber of Commerce. Also the extroversion of BIOFIAL in the recent years has been increased significantly. At regular time intervals, is taking part in business delegations, business forums and international exhibitions, representing the Greek industry of Northern Greece. For several years BIOFIAL has participated in some of the widest international events that take place abroad, like INTERLIFT EXHIBITION in Augsburg-Germany, ASANSOR INTERNATIONAL LIFT EXHIBITION in Istanbul-Turkey, BIG 5 SHOW in Dubai-UAE, EUROLIFT IN Kielce-Poland, SEEBBE – INTERNATIONAL BUILDING TRADE FAIR in Belgrade-Serbia, TEHNOMA in Skopje – FYROM, INTERNATIONAL TECHNICAL FAIR in Plovdiv – Bulgaria, etc. Occasionally it has taken part in local exhibitions, such as the THESSALONIKI INTERNATIONAL FAIR and in other occasions in specific exhibitions organized in the Greek area, such as HELLASLIFT, LIFTEXPO-GR, AGROTICA, etc. 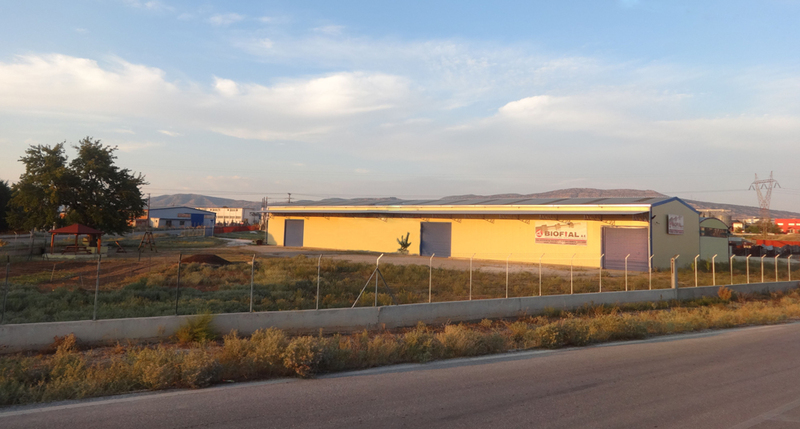 Finally, in 2011 BIOFIAL completed a new investment in manufacturing infrastructures, by obtaining a 2,000 m² building at Neochorouda Area of Thessaloniki, where it operates as a branch.